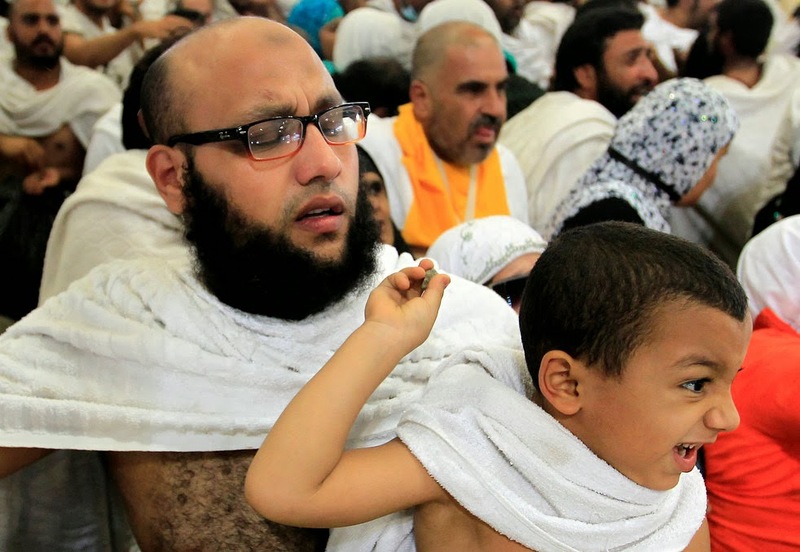 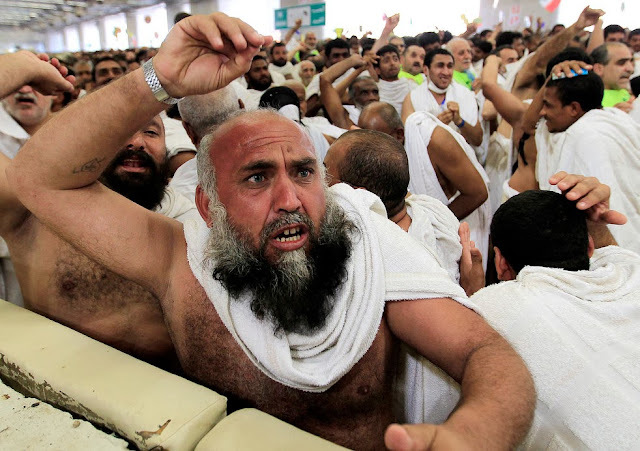 Hundreds of thousands of Muslims converged on Mina in Saudi Arabia Tuesday for the symbolic stoning of the devil, the final stage of the annual hajj pilgrimage. 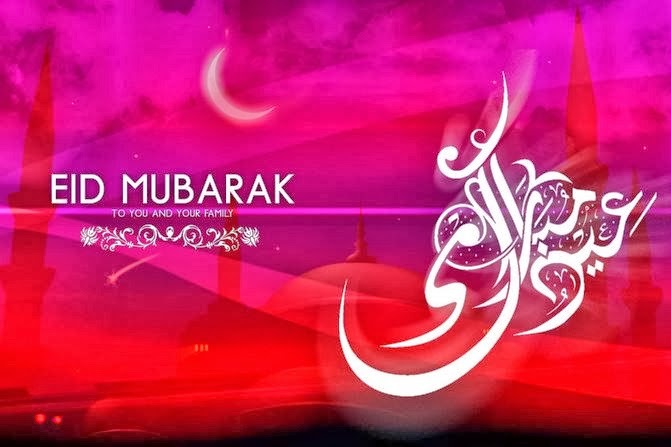 The occasion coincides with the first day of Eid al-Adha, the feast of sacrifice, which is celebrated by Muslimsaround the world. 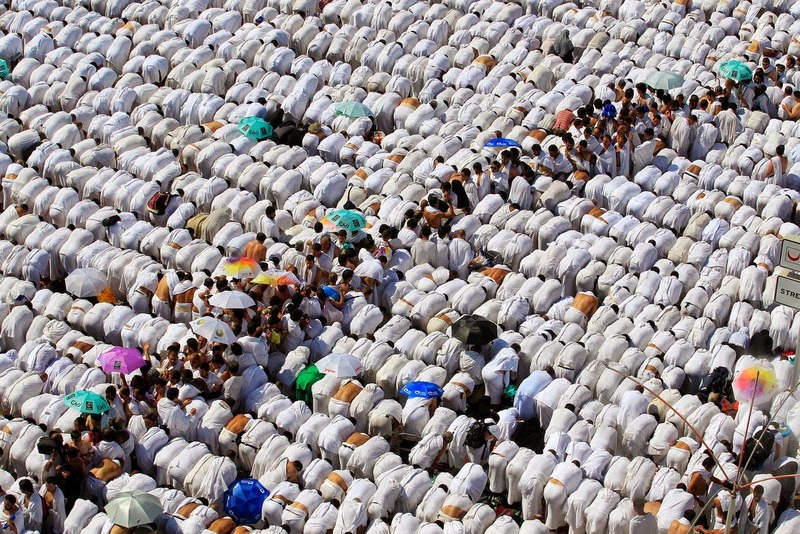 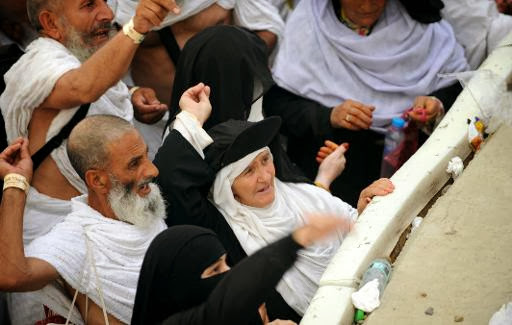 The crowds of faithful managed to transform the Mina valley, just outside the holy city of Mecca, into a vast sea of white as they flocked from all directions towards the place of stoning. 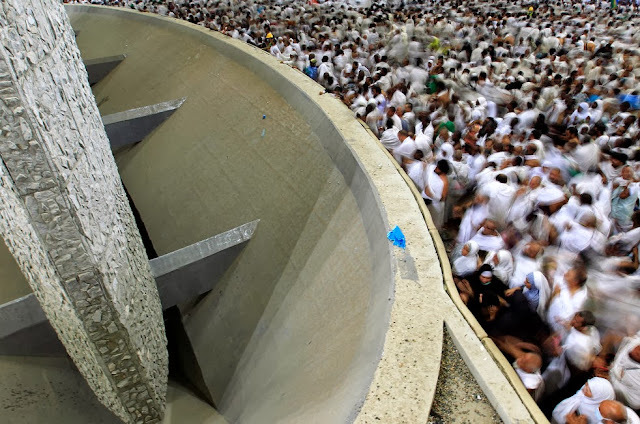 An endless torrent of pilgrims, dressed in the ihram, a two-piece seamless white garment, cried “Allahu akbar” (God is the greatest) as they hurled pebbles they had collected overnight at nearby Muzdalifah at concrete pillars representing the devil. After pausing to say prayers, they then moved along the massive concrete structure constructed by Saudi authorities to avoid deadly incidents. 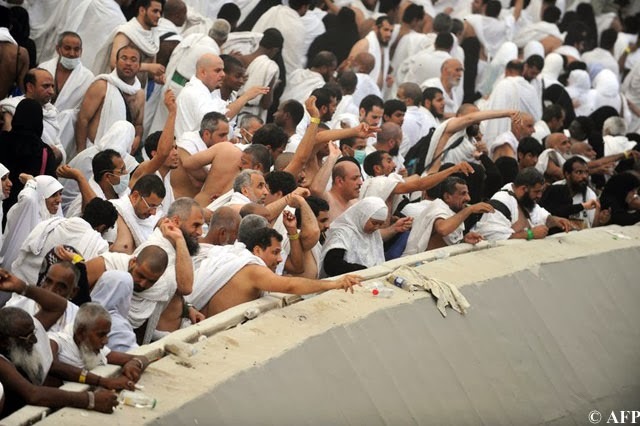 Saudi Arabia this year slashed the numbers of pilgrims from abroad by 21 percent and reduced the number of permits for domestic pilgrims by more than half, allowing a total of 1.5 million pilgrims, including 1.38 million foreigners from 188 countries. Happy Sallah celebrations to my Muslim brothers and sisters.